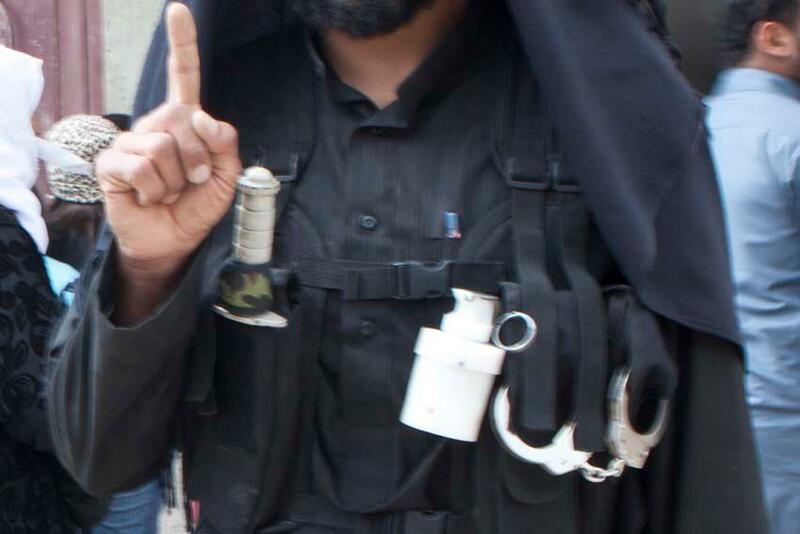 Brown Moses Blog: Jabhat Al-Nusra Photographed With "Chemical Weapons"
You'll note it shares the features of the items recovered in Sheikh Maqsoud and Saraqeb, including the offset holes on the body of the grenade, the distinctive ridge, and a matching fuze. It's worth noting in the Sheikh Maqsoud photograph the fly-off levers have been attached back-to-front, causing them to stand out more than they should, instead of flush with the fuze. So, what does this tell us about the device? It seems clear now that the devices used are some sort of gas grenade, and it seems unlikely sarin and other deadly chemical weapons would make an appropriate fill for a hand thrown weapon, but it's still unclear exactly what this grenade contains. As yet there's been no positive ID on the specific type of grenade, and Richard Engel of NBC claimed it could possibly be an Indian crowd control grenade after a visit to Saraqeb, without providing the specific type, so I think that's a bit of a shaky conclusion. 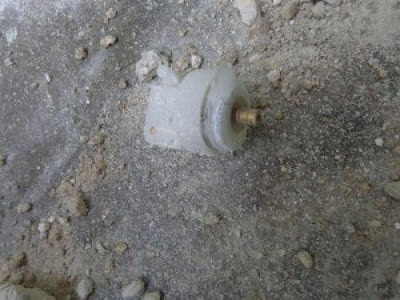 However, it does seem increasingly clear that the attacks in Sheikh Maqsoud and Saraqeb may not have involved the more powerful chemical weapons such as sarin or VX, but possibly some sort of as yet unidentified crowd control substance, which in the right circumstances can prove to be deadly. Read more on this at the Rogue Adventurer blog. Thanks to Jeffry Ruigendijk for his help with this post. If Assad is trying to frame the opposition, then he possibly could take a riot control canister, and add Sarin to the grenade. The video of a grenade dropping from a helicopter clearly shows a lot of smoke being emitted. This would be the tear gas. But Sarin is invisible and the amount is minute. It could be somehow mixed with the riot control material. There is also other uses for this. In an actual riot where the regime wants to kill demonstrators and put the blame on them for ignoring the tear gas, without being suspected that they are using a nerve agent. 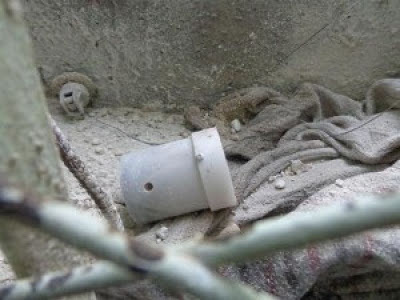 Finally in the SM video, the gas canister descended with a metal container filled with white powder. Could it be that the sarin was in the metal can, and the tear gas grenade is just a red herring to divert attention away from the nerve agent? Is it possible that someone is manufacturing a tear gas where you can add or inject your own substance (nerve agent) to it? If so, Assad would be interested. It's entirely possible that these devices are manufactured in Syria, and therefore would have no photographic evidence of their use outside Syria. 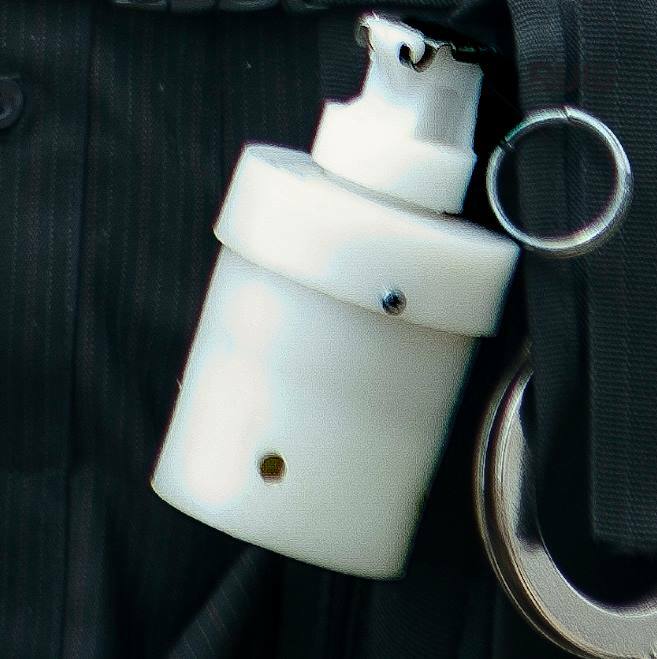 Judging by the color of the grenade it looks to be made out of some sort of hard plastic. The first thing I thought was it looked allot like the same material used recently in America to make the worlds first 3-D printed gun. Not necessarily saying the device looks 3-D printed, but definitely looks hard plastic. Would be very simple for the Syrian government to make this themselves, and it would also explain the apparent lack of serial numbers or any other visible markings. SB: I'd like to hear more reasons why this might be an Assad weapon used by Assad to frame Jabhat al-Nusra as seemingly framing him. I'm sure Assad's behind it. Patrick: Valid thought. Might be just as easy for anyone with such a printer on the Ottoman/NATO border to whip up untraceable false-flag units to fill with whatever (chlorine is most plentifully known in their stockpile) and then ... wear openly on your chest? Not the intent, I'd guess. But to cross red lines, yes. Sarin if available would be good to add (carefully!) (if possible, I don't know). If so, that could come from Syria, Aum Shinrikyo's suppliers (? ), Iraq, or the rest of the world. Some supporters are wealthy, well-connected, powerful and unaccountable, and that unscrupulous. Brown Moses: Excellent post. Are rebels/al-Nusra using sarin and these? I'm going with these, and awaiting details on just what the rebels reportedly used wherever. I haven't looked at the grenades or videos (not keeping up like I'd like), but saw the/a photo from Sheikh Maqsoud (SOHR) and find it very interesting the same popped up in Saraqeb. There, I've only heard a barrel of unknown chemical (from SANA, used to kill three prisoners) and plastic bags of unknown powder, dropped from planes (rebels) or tossed in faces by the rebels there (SANA's source). Grenades add something. I'll have to update. Thanks. While I'm here, there is another mystery about the Aleppo one I can add. 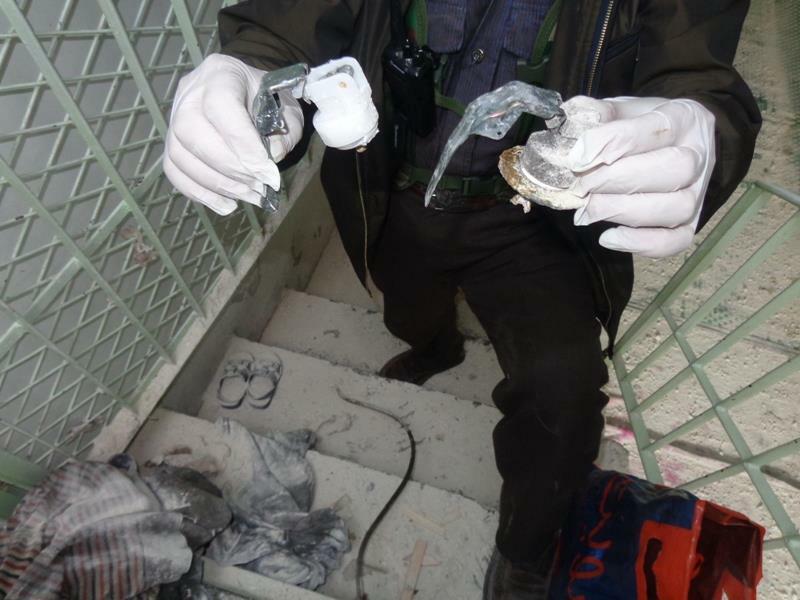 Another SOHR photo shows a female victim (of that plastic grenade?) apparently dead, mucous bubbles and a possible chemical burn on the right cheek. But she must not be dead - she's shown alive and recovering in a rebel video after the gov. attack. That's at the end of the famous "foaming at the mouth one," which to me looks fake, aside from her and the other woman. See here for links and explanation.